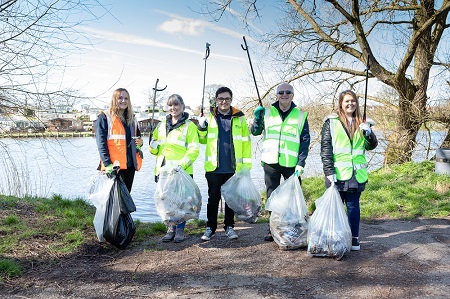 Cheshire West and Chester Council has organised a range of clean-up events across the borough to support Keep Britain Tidy’s ‘Great British Spring Clean’. 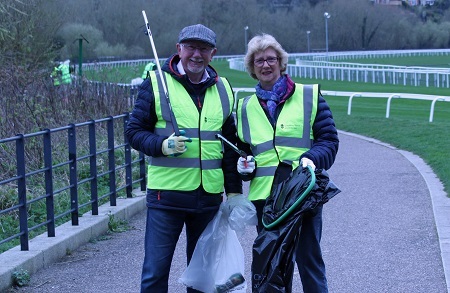 The campaign, which runs from 22 March to 23 April, encourages individuals and community groups to get involved in giving their neighbourhoods a spring clean. 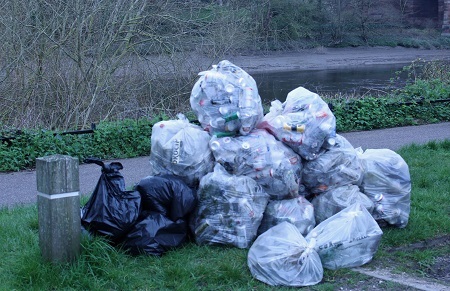 This week litter-pick events have taken place near the River Weaver in Winsford and the River Dee in Chester organised by the Council’s Waste Management and StreetCare teams, along with the Council’s waste contractor, Kier. Volunteers bagged up litter and placed cans, bottles and other plastics in separate white bags, so the Council can recycle as much of the collected material possible. The Council’s new ASIST officers (Area Streets Information and Solutions Team) have been working with community groups and volunteers to arrange more events to support the campaign and spruce up town centres. Winsford on Monday 1 April between 10am and 12 noon - meeting at The Humble Pie, near Asda. If you would like to volunteer to take part, please email the ASIST officers on yourstreets@cheshirewestandchester.gov.uk. More details will also be available on the Your Streets website – www.westcheshireyourstreets.co.uk. Like other councils across England, Cheshire West and Chester Council has received funding from the government’s fund for high street and town centre clean ups. The Council’s Director of Place Operations, Maria Byrne said: “I hope as many people as possible will get involved in our clean-up events across the borough to help us keep our borough looking beautiful.